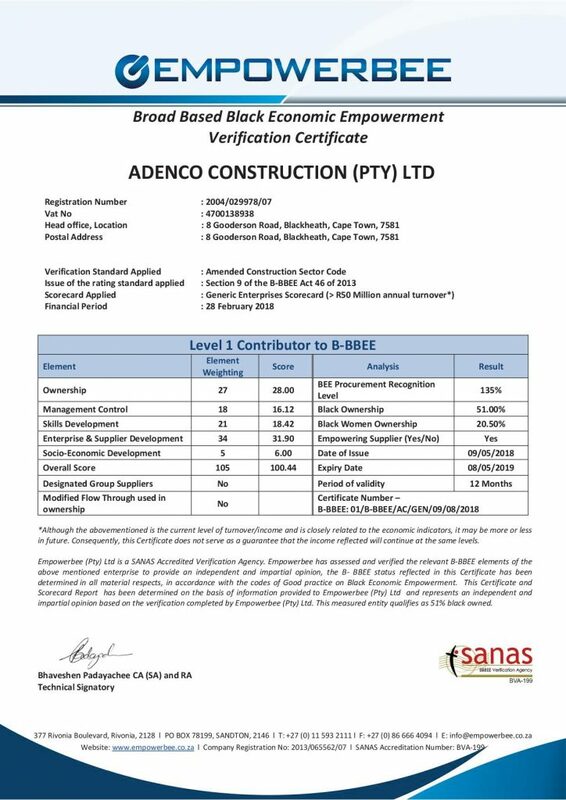 In what we regard as one of our greatest achievements in our twenty fifth anniversary year, Adenco Construction received a Level 1 Broad Based Black Economic Empowerment (BBBEE) Grading. This outcome was made possible through a firm and focused commitment from the management and staff at Adenco Construction to partner with and support the South African Government’s Broad Based Black Economic Empowerment programme. We especially focused on assisting small business with project opportunities; training of our people; socio economic development and of course ownership and management.